The passages in this Study Book have been taken directly from KThe passages in this Study Book have been taken directly from Krishnamurti's talks and books from 1933 through 1967. The compilers began by reading all the passages from this period which contained the phrase choiceness awareness the theme of this book. This would not have been possible without the use of a searchable full-text database, the 'Krishnamurti Text Collection', produced by the Krishnamurti Foundation Trust, England.Over 600 passages were studied in all, and the aspects of choiceness awareness most frequently addressed by Krishnamurti were noted. These aspects thenformed the outline for the contents of this book.The material selected has not been altered from the way it was originally printed except for limited correction of spelling, punctuation, and missing words. The only other change to the text is the use of ellipses. Ellipses introducing a passage, or ending it, indicate that the passage begins or ends in mid-sentence. Ellipses in the course of a passage indicate words or sentences omitted.Krishnamurti spoke from such a large perspective that his entire vision was implied in any extended passage. If one wishes to see how a statement flows out of his whole discourse, one can find the full context from the references at the foot of each passage. These refer primarily to talks which have been published in The Collected Works of J. Krishnamurti. This seventeen-volumeset covers the entire period from which this Study Book has been drawn.A complete bibliography is included at the end of this book.Albion W. Patterson, Editorrishnamurti’s talks and books from 1933 through 1967. The compilers began by reading all the passages from this period which contained the phrase choiceless awareness—the theme of this book. This would not have been possible without the use of a searchable fulltext database, the ‘Krishnamurti Text Collection’, produced by the Krishnamurti Foundation Trust, England. Over 600 passages were studied in all, and the aspects of choiceless awareness most frequently addressed by Krishnamurti were noted. These aspects then formed the outline for the contents of this book. The material selected has not been altered from the way it was originally printed except for limited correction of spelling, punctuation, and missing words. The only other change to the text is the use of ellipses. Ellipses introducing a passage, or ending it, indicate that the passage begins or ends in midsentence. Ellipses in the course of a passage indicate words or sentences omitted. Krishnamurti spoke from such a large perspective that his entire vision was implied in any extended passage. If one wishes to see how a statement flows out of his whole discourse, one can find the full context from the references at the foot of each passage. These refer primarily to talks which have been published in The Collected Works of J. Krishnamurti. This seventeenvolume set covers the entire period from which this Study Book has been drawn. A complete bibliography is included at the end of this book. 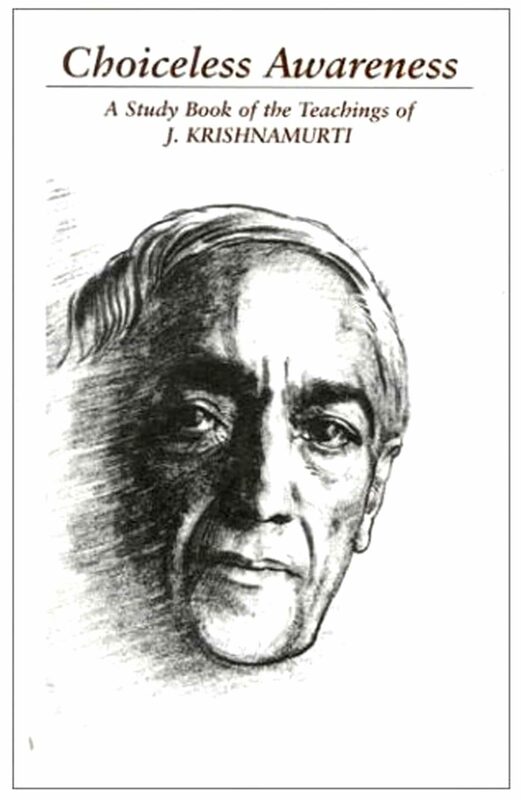 Otros ebooks de J. KRISHNAMURTI.